Posted by Evan Faggart // June 15, 2015 // Banking, Currency, Finance, Global Finance, Gold, Government, Individual & Economic Liberty, Money & Finance. Zimbabwe is infamous for its hyperinflated currency, with its citizens carting wheelbarrows full of money to the market just to buy a loaf of bread. The country’s hyperinflation hit a peak in 2008, reaching 5 billion percent, making the Zimbabwean dollar virtually worthless. After that, citizens began using foreign currencies, such as the U.S. dollar and the South African rand. Now, the Zimbabwean government is finally ditching the currency, offering a deal to citizens in which they can convert their bank account balances to USD. Accounts with balances up to 175 quadrillion Zimbabwean dollars will receive USD$5; accounts in excess of 175 quadrillion Zimbabwean dollars can convert their money to USD at an exchange rate of USD$1 for 35 quadrillion Zimbabwean dollars. People who still hold old Zimbabwean dollar notes can exchange 250 trillion old notes for USD$1. Zimbabwe’s disastrous hyperinflation is a textbook example of the dangers involved with using fiat currency. Granted, Zimbabwe’s monetary horror story occurred because of extremely irresponsible policies that are not present in the developed world. However, strong currencies like the US dollar are not very different from the Zimbabwe dollar in terms of fundamentals. Both currencies are managed by a central bank and can be printed at will, with no restriction on supply. The only real differences between the two currencies are that the Federal Reserve is better at managing its money supply, and the political climate in the U.S. is much more stable than in Zimbabwe. But those two things could change at any time, placing the U.S. in a similar situation to Zimbabwe. The only way to guarantee a reliable currency is to completely get rid of central control over money. Arguably, the best way to accomplish this goal is by adopting a currency with a limited supply, as well as preventing banks from issuing money substitutes in excess of real cash. That way, the money supply cannot grow beyond the amount of cash the banks have in reserves. Under such a system, not only would it be impossible for banks and government to create destructive inflation, but volatile business cycles would likely be prevented as well. Historically, “sound money” has been synonymous with gold. However, as modern technology progresses, the market has produced potential alternatives to gold. 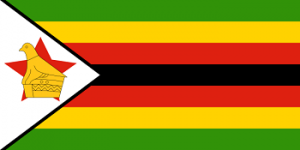 Zimbabwe’s move to the United States dollar will undoubtedly be a welcome change for the country’s economy. However, Zimbabweans should understand that the USD is not fundamentally different from their own failed experiment with fiat currency. In the future, they should seriously consider a sound money alternative to fiat currency. Posted by Michael Scott // June 8, 2015 // Government, Individual & Economic Liberty. As a fan of Ayn Rand and her book Atlas Shrugged, I am continually trolling the web for new and interesting reads about her work. It’s here that the new release “Radical For Capitalism: An Introduction to the Political Thought of Ayn Rand” by William R Thomas popped up on my radar screen. Thomas is the Director of Programs at The Atlas Society, a non-profit organization that through Rand’s work promotes open Objectivism: the philosophy of reason, achievement, individualism and freedom. He is the main contributor to the best-selling book Myths About Ayn Rand, and has published essays on political, ethical and epistemological topics. He has also spoken in various parts of the world on the theory of individual rights as well as Ayn Rand’s philosophy of objectivism. It was originally written for a large compilation of writings called The History of American Political Thought. This book essay is primarily written for a reader who is not familiar with Ayn Rand or Libertarian thought. The title is a reflection of how Rand described herself. 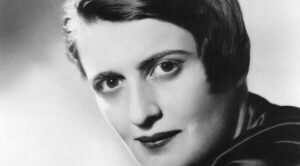 Yes, she believed in laissez-faire and a free society, but Rand was at the same time very thoughtful of the cultural and philosophical underpinnings that all of this required. I wanted this book to appeal to contemporary readers and say to them that there are certain fundamental values that they really ought to have on their radar and to consider. My goal was to write this in an academically respectable way, without sounding like a raving nut from some fringe group. In terms of its applicability to modern times, I hope that readers come away with a recognition that the left/right political dichotomy doesn’t make sense; that the cultural ideas underlying those two sides are disjointed. Rand believed that it is the individual who matters. In other words, YOU ARE WHAT MATTERS….. Your life is to make of it what you will. Anyone who tells you that whatever your background is determines you; anyone who says that you’re defined by some trait you had nothing to do with, now that’s injustice. Martin Luther King believed that people should be judged by the content of their character. Ayn Rand dreamed of the same thing. I have a very positive view of Justice Clarence Thomas and his principled jurisprudence. Many criticize him as simple-minded, but he’s not. He’s just principled. Sadly, Justice Thomas has been slandered and attacked because he was identified as a black conservative. The left just went after him tooth and nail, but I think he’s done a nice job on the Supreme Court. He’s been sort of a quiet voice for reason. That’s been really positive. For Rand, “capitalism” was defined as a “free market economy.” Rand spent her life trying to rescue capitalism and the free market from it’s attackers. She had a rhetorical tendency to try and grab a term that a lot of people took as negative and, if she thought its real meaning was positive, she would take that term and use it to beat her opponents. She did that with selfishness too. Her book The Virtue of Selfishness was very controversial for that reason. She knew her readers would look at the word “selfishness” and immediately cast it as an oxymoron. Her view was that “selfishness” meant a concern for one’s own interests, pure and simple. Rand thought that big productive businesses and industrialists, the kind lionized in Atlas Shrugged, were being attacked as inherently corrupt and evil. When Rand said that she was for capitalism, she meant that she was for industry. She championed world-changing creations. Apple Computer is a modern day example of this capitalistic spirit. After reading this book, I sincerely hope that innovators and creators will recognize that they don’t have to apologize for creating something and that they are not robbing anybody. They shouldn’t be ashamed of their productive achievements and their desire to make money; for this is an honorable and a great thing. They should be principled in defending their acts and the effort that was required to achieve them. Posted by Anthem Hayek Blanchard // June 1, 2015 // Government, Investment, Money & Finance. It’s a plane! It’s a drone! It’s…..the property tax assessor? That’s right, as local governments start to look under the couch cushions for loose change, they have found a more high-tech and lucrative way to garner more tax revenue: use airplanes and high resolution aerial photos to detect property improvements. This method allows them to see improvements such as home additions, extensions, new garages and swimming pools that drive-by inspections could not observe before. They are also more likely to catch those giving false information on their tax assessment forms. 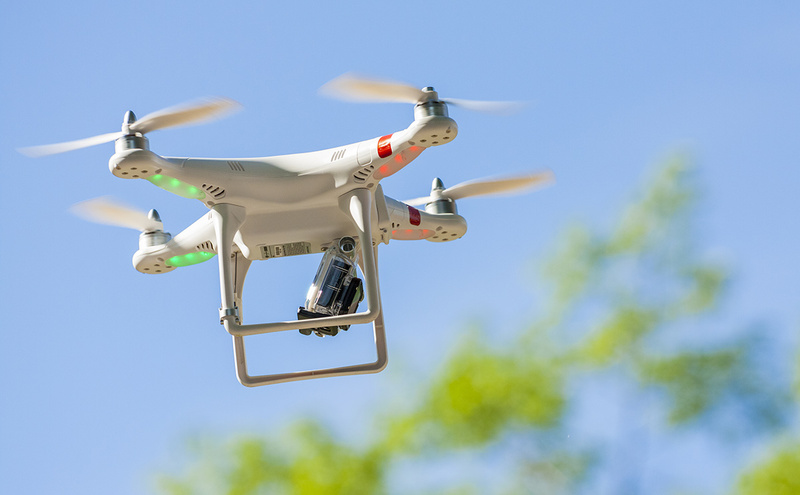 Local governments in the U.S. are now joining other international governments in using aerial and satellite imagery to find more taxable wealth. Already back in 2010 the Greek government was using Google Earth to find unreported swimming pools; they found in the suburbs there were not 324 pools as reported, but actually almost 17,000! The Irish Tax Commissioners also followed suit. Then in 2013, The Daily Mail reported that Officials at Her Majesty’s Revenue and Customs were using Google Earth and Google Streetview to find fancy cars, home additions and new construction in the UK to try to decide whether to investigate homeowners they suspected of paying too little tax. They even reported that tax officials would add extra details to their searches such as people bragging on Facebook about a new car or exotic vacation. The Long Island community of Riverhead also used Google Earth to find pools that were constructed without filling out the proper paperwork or paying the permit fees, bringing the town over $75,000 in fees. It shouldn’t be surprising that even governments will eventually adopt the latest technology if it means more revenue for them. What is interesting is how these stories illustrate an embedded disadvantage to holding wealth in the form of real estate. Real estate, unlike other assets such as precious metals, almost always carry a real estate tax which is usually assessed annually based on its estimated value. So even if you fully own a piece of property or land, there will still be an annual cost to holding it. Further, if the perceived value of the land goes up, the tax will likely go up as well. Precious metals, held outright, do not have such a tax. Currently the only possible tax would be on the gain realized after selling it; but at least as the value of the metal appreciates, there is no annual tax also increasing. The other variable with real estate is how the real estate tax or anticipated real estate tax can affect the property’s value. If it is believed real estate taxes are expected to increase significantly in an area, the value of the property will likely decline compared to other areas where the real estate tax is not expected to be as high. An interesting example of this we may see in the coming years could be in Chicago which has expected pension payments to spike in 2016. It is estimated that to fully fund these pension payments, Chicago would have to increase homeowner property taxes by approximately 50%! This isn’t to say real estate will not remain a good option for holding wealth, but it is important to note some of the advantages and disadvantages of location and other factors when comparing alternatives.